Hey there, everyone! Welcome to the last night of the February Lawn Fawn inspiration week! It has been a fun week, filled with lots of amazing projects and comments from Lawn Fawn lovers. Thank you so much for your kind words and encouragement...I am so glad you like what I have done with the latest Lawn Fawn product! Tonight we are featuring one more new stamp set called "You've Got Mail". Seriously...love that movie, and I love this stamp set! I am so happy that the owners chose this name for the stamp set...it is just perfect!! 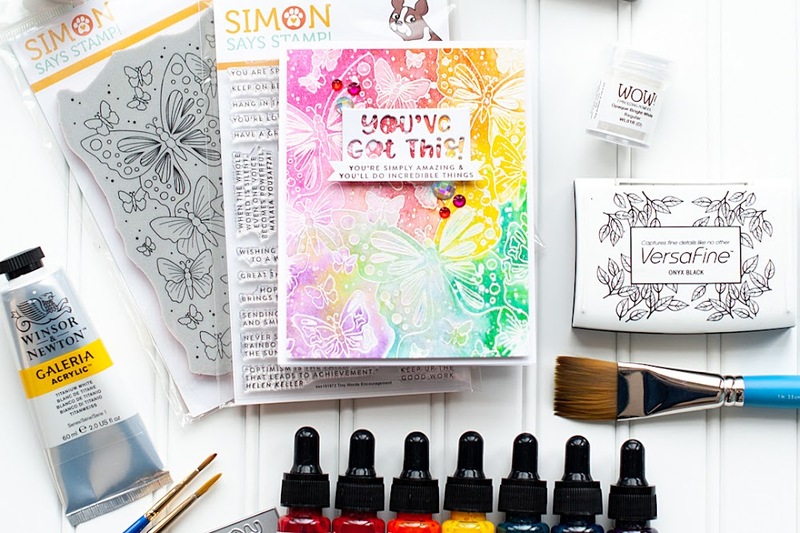 I paired the stamp set with some of the new papers from the Bright Side collection....and love how it turned out! Here is what I created!! Instructions: Make card from pink cardstock. Cut printed kraft slightly smaller, sand the edges and adhere. Tie ribbon around the bottom of the card, then attach a button to the bow center with twine. Distress ink a block of vintage cream cardstock, then stamp the postcard elements & sentiment to it. Adhere a strip of lace to the right side of the stamped block. Cut a block of pink paper the same size and distress the edges. Adhere the two blocks together, with the pink block at a slight angle, and then adhere to the card front with foam adhesive. Cover a paper flower in glitter, adhere white glittered leaves to it, and then add the whole flower piece above the bow. Diecut a heart from pink dotted paper, sand the edges and adhere below the sentiment. 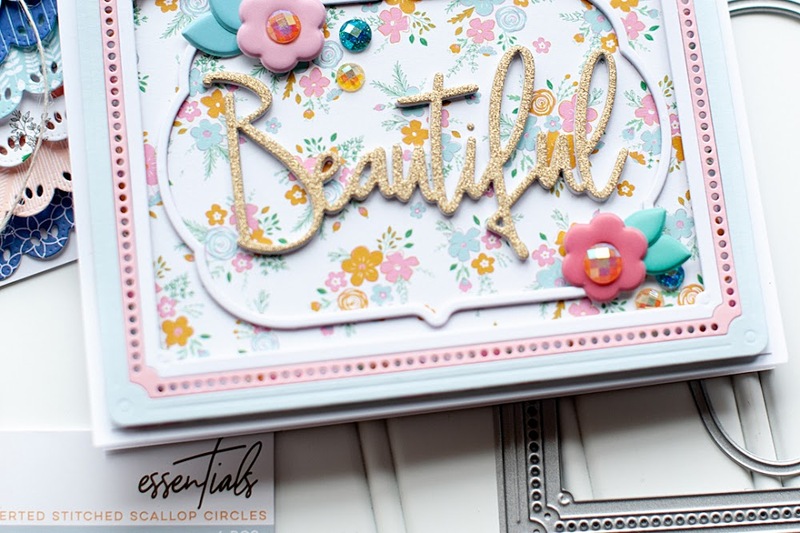 Accent the flower and postcard with pearls to finish. Beautiful card! Thanks for playing at RCC! Good golly, this is beautiful, Lea! 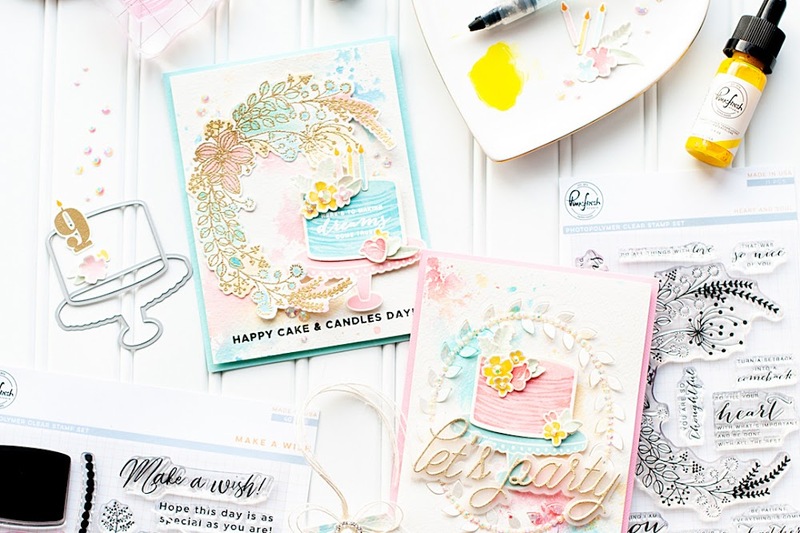 You make such pretty cards! Love how you used the postcard and love the touch of lace. Wow! This is fantastic! 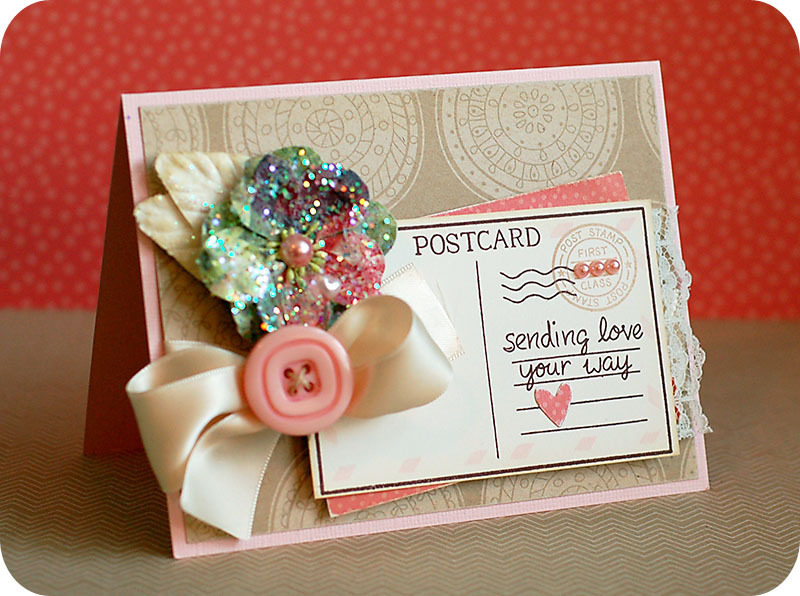 I love what you did with the post card and that glitterly flower is just delightful!!!!!! FANTASTIC! Very shabby chique. Thank you so much for joining us at Lawnscaping. A gorgeous card Lea. love postcards and you have used this stamp to perfection. Thanks for linking to PanPastel UK this week. I really love your card! Everything about it makes it beautiful! Love the glitter flower! Very pretty. Another beautiful card Lea. I love the glitter on the flower. Thanks again for sharing.